Happy Chickens, and a Happy New Year! 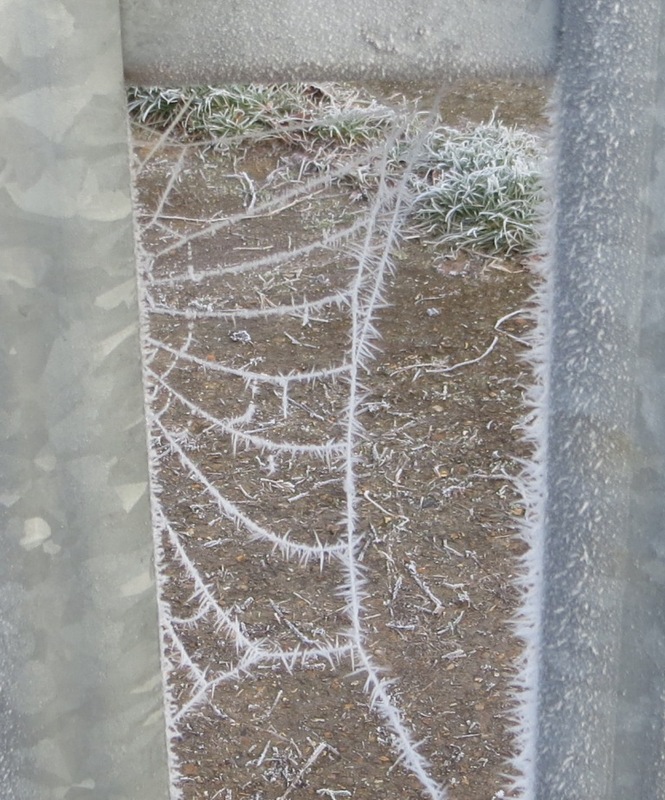 The weather’s on the turn, although we got a spectacular show of hoar frost again at the allotment. 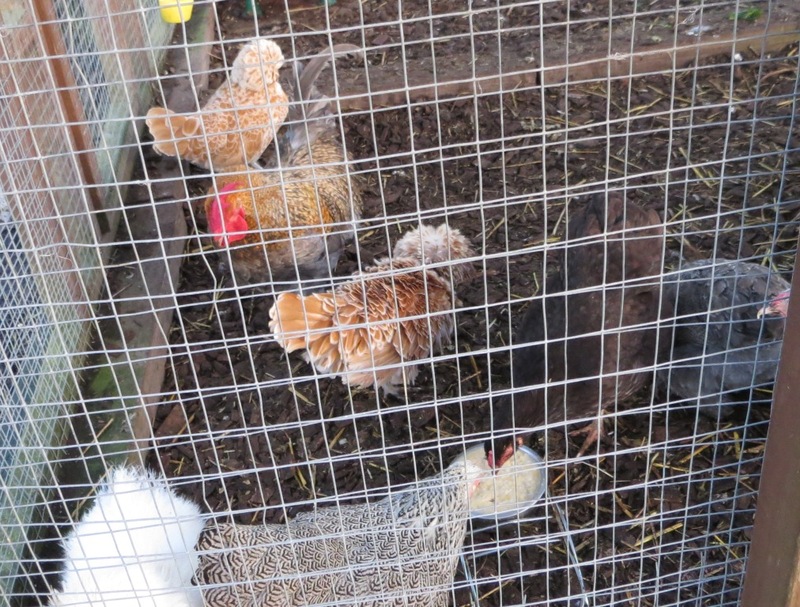 Further integration – and a bantam egg! We took down bowls of warm mash (porridge, cornmeal, and sweetcorn kernels) yesterday evening, since it promised to be a freezing night. The new Wyandotte clustered round the bowl with the others, so she seemed to have established herself as part of the flock. 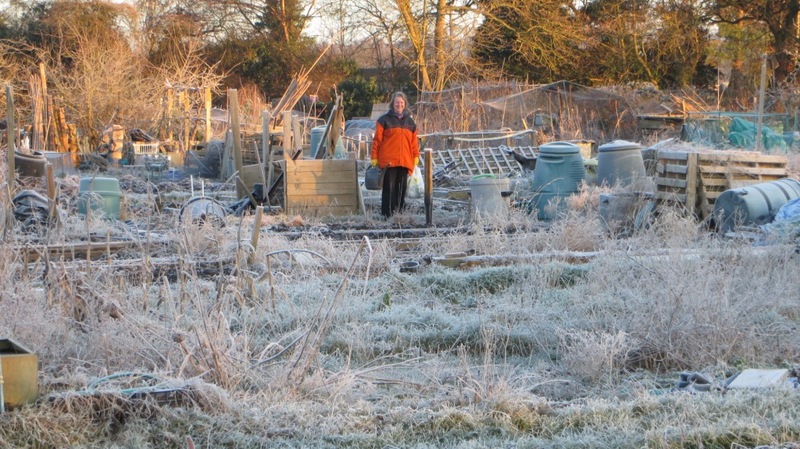 We went down to the allotment nice and early, because the drinkers clearly weren’t going to thaw without intervention. Much antifreeze was needed simply to unlock the gate! 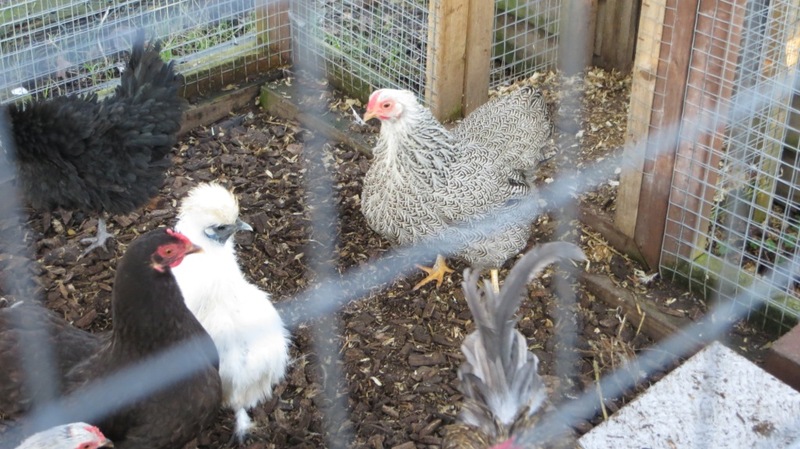 The new bantams were fine, although they still form a little group of three, and haven’t fully integrated. But, thank goodness, there was no sign of bullying. 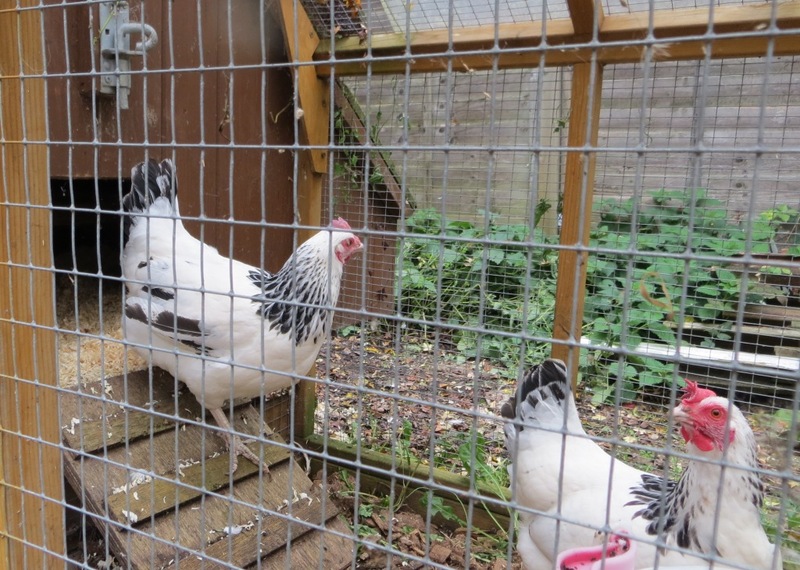 We saw a post on the Practical Poultry Forum which told a sad story. A predator had wiped out a flock of bantams, leaving only three survivors. The young lady who kept them wanted to find a new home for them. They sounded lovely, so today we picked them up and introduced them to our existing flock. It’s not the happiest month for chickens. The plentiful windfalls and surpluses of autumn have gone, and cold winds have started to blow through the run, in spite of the sheltering straw bales. 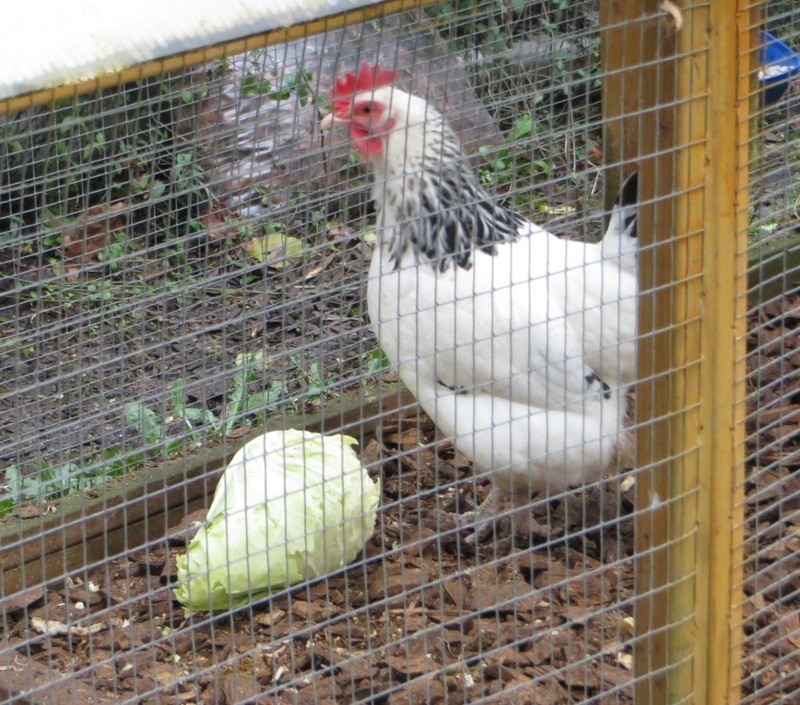 But we’re keeping their spirits up (and, we hope, their health) with cabbages and broccoli to peck at. The Light Sussex garden hens are still quite shy, although not as scared of the squirrels and local cats as they once were. As dusk was falling, they came out long enough to grab some supper and a taste of broccoli that we’d hung up for a treat. 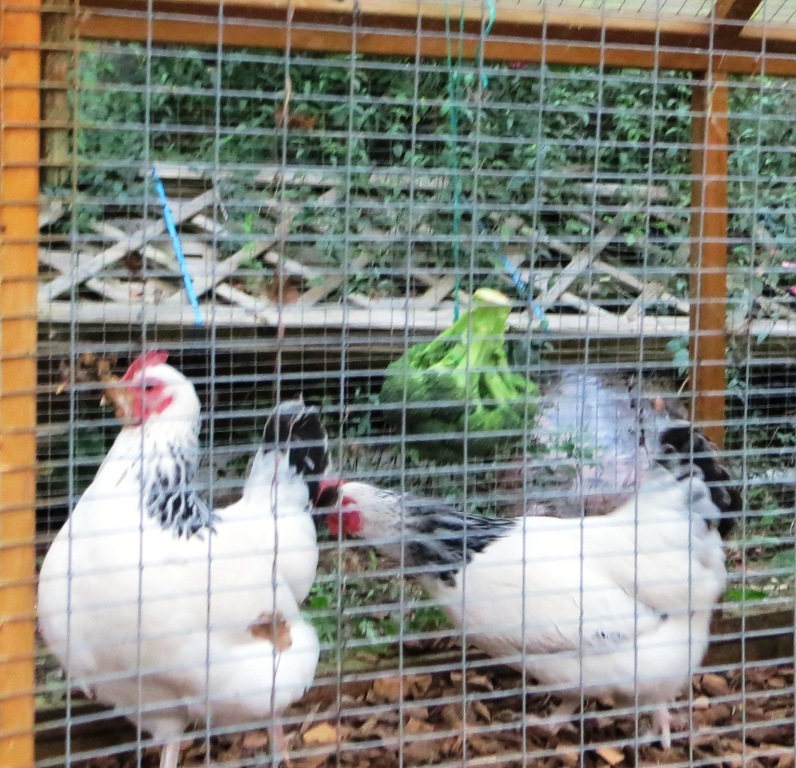 We’re chicken-sitting for one of our daughters, just for a month or three until the work on their garden has been completed and the outdoor wiring replaced. Their plans include a magnificent new chicken run, but meanwhile their three hens will have to make do with one of our brooding pens.